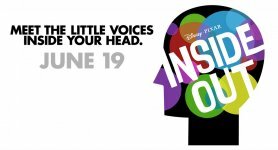 Inside Out Movie This summer, meet the little voices inside your head. The film will be set in the head of a young girl, Riley, where five emotions - Joy, Anger, Disgust, Fear and Sadness, try to lead the girl through her life. 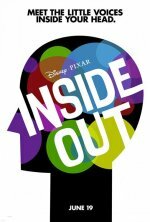 Inside Out release date was Friday, June 19, 2015. This was a Nationwide in theaters release. 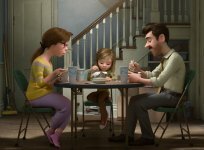 At the 2013 Siggraph convention, director Pete Docter told The Hollywood Reporter, "[the story was] one of the most challenging I've ever had to put together", because the film has to tell simultaneously what is happening to the girl and what is happening inside her mind. 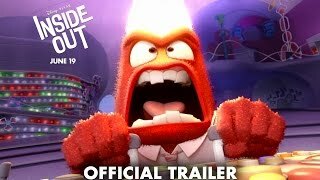 Inside Out has an “A” Cinemascore. 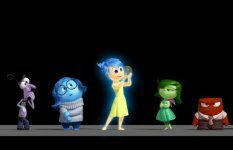 Disney•Pixar’s Inside Out heads to the top with the biggest opening for an original movie in history, topping the previous No. 1 original movie, Avatar, by more than $13 million, with $90,440,272 million in domestic box office opening weekend. The film opened Friday, June 19. 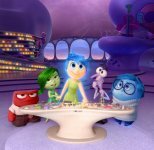 The film is the second highest Pixar opening of all time, behind 2010’s Toy Story 3.